Is Virtual Visitation Right for My Family? In prior decades, divorcing couples were limited as to the types of custody arrangements that they could implement. For instance, physical custody was often the only option for parents, which could prove difficult when one party lived out of state. Fortunately, recent advances in technology have made it possible for parents to use virtual visitation as a means of speaking with their children, even when it is not a particular parent’s scheduled visitation time. This allows children to retain access to both parents, which in most cases, is the court’s preferred arrangement. If you live in a different city or state than your child or your ex-spouse is planning on relocating with your child, virtual visitation may be the right answer for you and your family. To learn more about implementing this type of custody arrangement, please contact a member of our dedicated child custody legal team for advice. Allow children to have uncensored communication with the other parent via virtual visitation. If used properly, electronic communications can allow parents to play more active roles in the lives of their children following divorce. Florida family courts are not always willing to order virtual visitation, but will take a number of factors into consideration before making the decision, including whether such an order would be in the child’s best interest, as well as whether one of the parents has a history of substance abuse or domestic violence. Furthermore, even when a court does decide to draft a virtual visitation order, it can require the parties to use a specific form, to install or use certain equipment, to pay for internet service, and to abide by the order put in place by the court. Any changes to information necessary to facilitate virtual visitation must also be communicated within a week. Like any custody arrangement, there are both benefits and drawbacks to using virtual visitation. For instance, virtual visitation can help foster the parent-child relationship by allowing parents to become more involved in the day-to-day lives of their children. Examples of how virtual visitation could be used in this way include: helping a child with a special school project or homework, allowing parents to stay up to date on daily occurrences, providing a way for parents to be present for sporting events and music or dance recitals, and giving a children a method of speaking to a parent about an issue or concern. 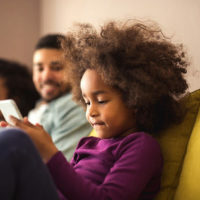 While using electronic communication can allow a parent (especially one who is physically absent) to be a part of a child’s life, it is unfortunately often viewed as a replacement for actual face-to-face visits. 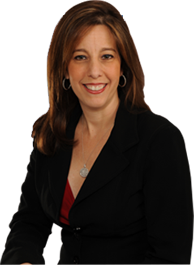 If you believe that virtual visitation may be appropriate in your family’s situation, please call Fort Lauderdale child custody lawyer Sandra Bonfiglio, P.A. at 954-945-7591 today for a free evaluation of your case. We are eager to assist you immediately.